I guess Reddit and other websites like 9gag are pretty much the same since i found the it's dangerous to go alone gif on there too. People seem to like such joke gifs. It is good to see some publicity in unexpected places like that. Do you have plans for mod support? Not saying that I have any particular ideas, but modifiable games always seem to attract a crowd. Plus, given that it's a Torque game, that's a whole new world for Blockland's modding community to jump to immediately. 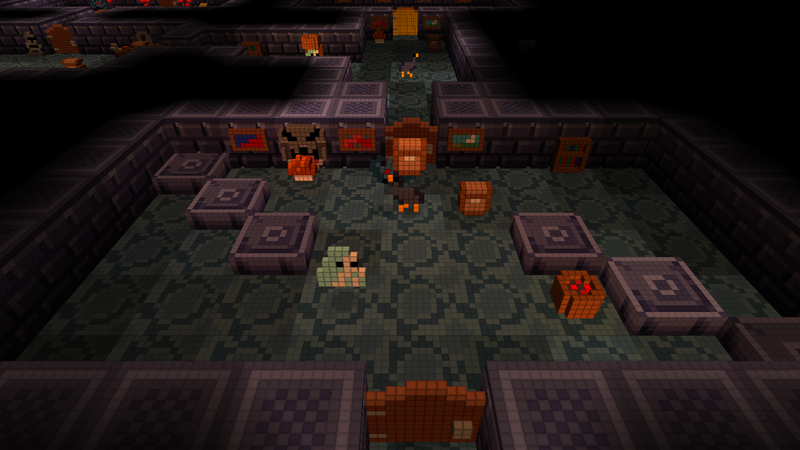 Mod support is going to come eventually, though right now the game fully supports custom skins & customizing the dungeon. The games not even out yet and Emgiell already made a pretty badass skin for the dungeon. Honestly I wish this topic were in a separated thread, like "Announcements" or "New Games", this is not related to "Development" on Blockland in anyway, not trying to be mean or anything it's just that you expect to see new Blockland related stuff when a new topic is made here. notice a few weeks to a month ago badspot changed the description in Development from "Info on the latest updates on Blockland"
"Info on the latest updates"
i'd assume that works for any game made by Badspot or Rotondo, then. Dropped a $100 on backing this. Now I just need to come up with an idea for a custom weapon to be made lol. With 24 days left and it already almost reaching the goal I'm really excited to see this. I can always use more 4 player splitscreen games. That one person that only paid $1 though. It's definitely going to happen, but nothing is concrete yet. I don't know if I'd be able to get that in by launch so I didn't want to advertise it on the KS page. Woah, thanks man! I thought I recognized the username when the KS email came in lol. Everything helps, plus you'll get yourself into the badass credits scene. Which I should probably get around to posting about one of these days. I didn't see the game on Steam Greenlight. Are you going to post the greenlight page later or can you just get it on steam automatically through Badspot? can you just get it on steam automatically through Badspot? Badspot also went through Greenlight (see Blockland and Perennial), so I highly doubt it. It's already on steam, the demo I've been giving out has actually been in steam key form. Edit: I should probably make that clear on the kickstarter page.